Available in a 24 Hour designation, along with years 1 through 50, these stunning AA Tokens offer a striking combination of enameled blue and black with gold-toned trim and font. The effect is absolutely beautiful! 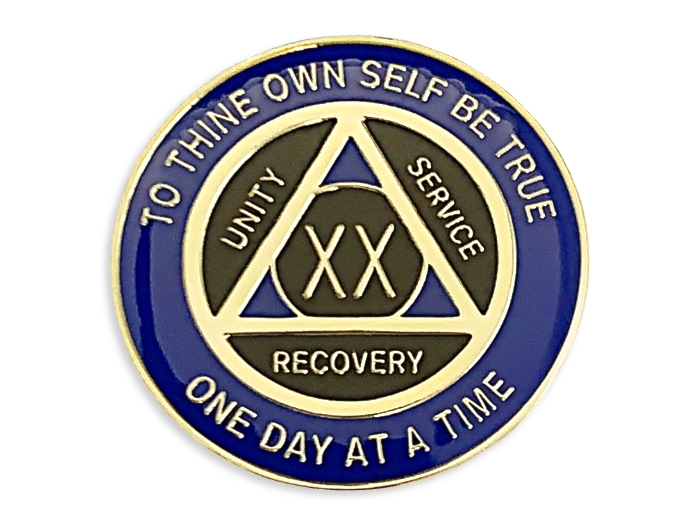 The obverse side of these medallions feature our familiar AA Circle And Triangle along with the familiar recovery slogans; "To Thine Own Self Be True," "One Day at a Time," the three legacies of Alcoholics Anonymous; "Recovery, Unity, and Service." 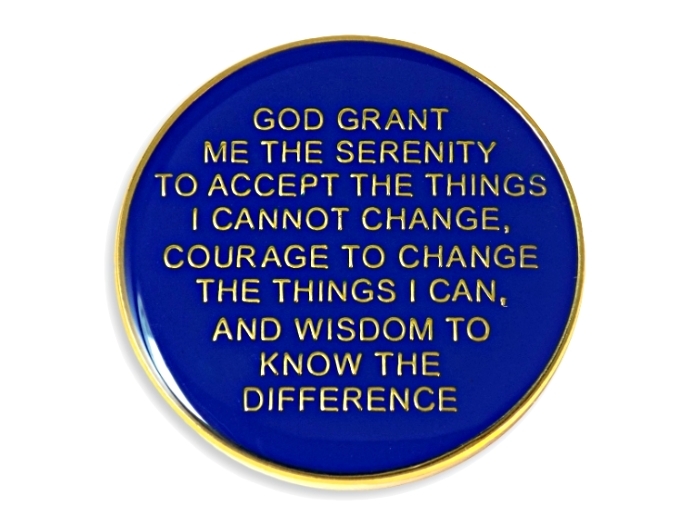 The reverse side displays our Serenity Prayer in gold-tone high relief. All models are typically available for immediate delivery! However, in the rare instance that we do not have your specific year selection in stock, we will contact you immediately. Upon checkout, you will receive a notice to "allow 10-15 business days for these special medallions to be shipped." This only applies if we contact you to advise you of a shortage. Otherwise, these beautiful AA Tokens will ship immediately! These medallion fit perfectly in any of our Medallion Holder Display Plaques! At WoodenUrecover.com, all specialty AA Tokens are delivered in a nice velvet gift pouch at no additional cost! However, please consider purchasing one of our Coin Capsules to further protect this beautiful keepsake.